This event is presented in partnership with the Georgia Association of Broadcasters and Grady College. 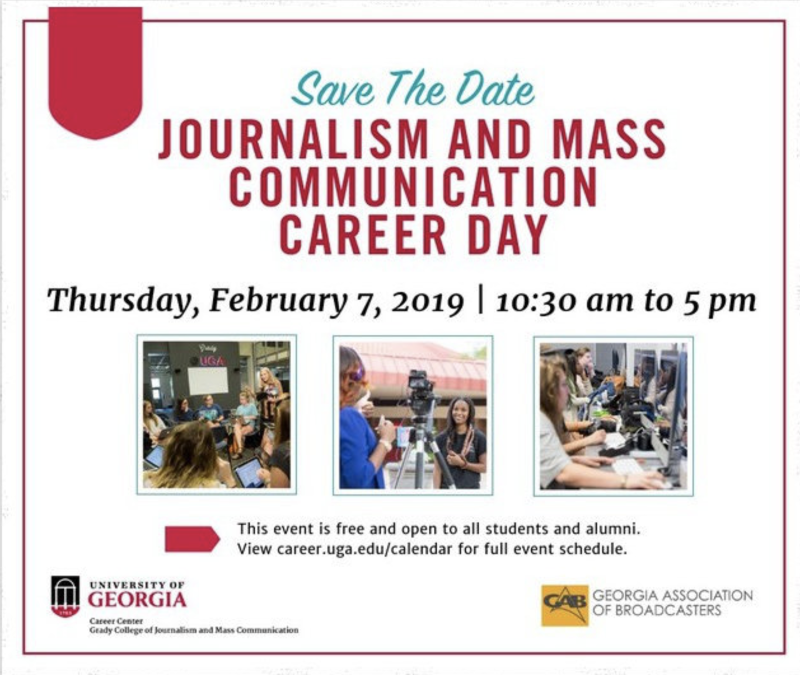 This day-long event connects companies and organizations with students seeking careers in digital, print and broadcast journalism, creative mass media, media sales, advertising and public relations. Students who attend are typically seeking internships and full-time positions. Employers will have the opportunity to meet and network with students through a variety of events beyond the career fair, including a networking luncheon, and panel event discussions with student audiences. You will be able to connect with students in the following areas of study: Advertising, Entertainment and Media Studies, Journalism, Public Relations; New Media Certificate, Public Affairs Communications Certificate, Sports Media Certificate; English, Consumer Journalism, Marketing, Communications Studies. Sponsorship opportunities are available for this event. Please see the event registration form for details. The Career Center is committed to providing access for all people. If you have accessibility concerns, please contact us at (706) 542-3375 prior to the event to arrange reasonable accommodations.